Looking for assistance with your WordPress installation but don’t know where to turn for help? There is plenty of useful information available to you that can help you resolve WordPress related issues on your website. There are many offerings when it comes to specialized help. Most of them being commercial services. We’ll show you which free-to-use WordPress support services you can rely on the most, and how to get the most out of them. So, where and how to ask for help? The official WordPress Support Forums are a fantastic resource to all WordPress administrators. They have multiple categories to keep all support threads organized for easier navigation. This includes installation issues, troubleshooting, WordPress Multisite, and localhost installations as well as many other forum categories you can take advantage of. You can also use the familiar tags system when searching for solutions. This allows you to narrow down search results to specific topics, such as WooCommerce, RSS or others. The WordPress support forums are a hive of activity. Hundreds of supportive, helpful and experienced developers, volunteers and administrators are available to assist and help you around-the-clock. The WordPress Development Stack Exchange is another incredibly useful resource that should be amongst your bookmarks. It is a simple Questions & Answers website aimed specifically at people who develop and administer WordPress websites on a daily basis. It is hugely popular and massively successful with over 70,000 users available to offer their support. The Stack Exchange Network itself has been expanded many times over the years to include a variety of other topics as well. In general, your very first port of call should be the search field of your chosen support service. Requesting assistance without first using the search function will not only be a waste of your own time, but also other people’s. Someone else may have previously requested help with the same problem as you and received a working solution, or even multiple solutions. You can use this information to help fix the problem you may be experiencing too. This results in a tidier (and easier to navigate) support forum with very few replicated threads about the same issues. There are guidelines that you should adhere to when requesting help, this not only keeps the support areas concise but also aids you in getting the answer you’re looking for. You are far more likely to receive assistance because you’re providing additional, much-needed, information about the issue you’re faced with. Support users can view the error messages you’re getting as well as visit your website to inspect further should they need to. 1 – Where are your manners? Being respectful and grateful also goes a long way when it comes to getting the aid you require. WordPress is released to the public free of all charges. The people attempting to help you out are also doing so without expecting to receive any compensation. Thanking people for their help, even if it didn’t resolve the issue you were having, does no harm at all. 2 – The internet never sleeps, people do! You should also refrain from being impatient after requesting help, typically allowing 24 hours for responses to start coming in. Reposting in the same thread, typically referred to as bumping, isn’t allowed and may even get your thread closed to replies. Whether you are posting in your thread that you’re providing additional information that may be necessary to receiving support, and not simply trying to get your thread back to the top of the list so more people will see it. A URL to your website is very helpful when asking people for assistance. It allows other users to quickly inspect the source code of your website, view any error messages or inspect any other problematic areas. The more people you can get to view the issue you’re having, the more chance you will have of receiving replies with possible solutions. If they can’t help, you lose nothing, but it was another pair of eyes seeking a solution for you, which is what you need if you’re to get replies. Providing screenshots can also help increase your chances of resolving WordPress related issues. If you’re struggling to explain the problem you’re having, simply take a screenshot of it and upload it to a free image hosting service such as Imgur. Add the link to your uploaded image(s) within your thread when asking for help. Almost everybody who reads your support request thread will almost certainly view the screenshots you upload as it quickly allows them to identify the problem you’re having, or at least attempt to. Some issues are related to WordPress itself, others are related to certain WordPress themes or plugins you’re using. If you’re having issues with a commercial product like a premium WordPress theme or a WordPress plugin you have purchased for use on your WordPress website, then you should be requesting assistance from the people who developed and therefore best know the product. In general, these are the WordPress theme and plugin developers. Seeking advice and WordPress support from people who are not familiar with the product in question will usually result in you not getting any replies to your support request at all. Usually, when you’ve purchased a premium WordPress template or a plugin to add certain features to your website, support is included. Just always make sure, that you are within your regular support period. Thanks to the huge community behind WordPress, you’re never alone when it comes to developing or administering your WordPress website. There are thousands of keen users, developers, volunteers or administrators at your fingertips who are eager to assist people in need of help. Being able to request help in a concise and courteous manner, will more often than not, result in you receiving a swift resolution to your issue, without it costing you a single penny. My WordPress site has a problem in memory exhausted. And processor overclocking. My guess is the products are somehow duplicating like for example I have 780 products published but on frontend it shows more than 5000 products. Please help to resolve this. Hi Patrick, it seems you’re not using any of our products and we don’t have any insights regarding your website or hosting environment. That means we’re not really sure how we could help you in order to manage your site?! However, you may want to reach out to your hosting company as it probably would make sense to upgrade your hosting plan. If you’re looking for a reliable hosting company, you can also find an overview here. This is the main reason why I stick with WP – there’s a lot of free support out there and the community is very welcoming to newcomers in need of help. You’ve shared some great sources for free support, thanks! It’s giving me an error. Can someone please help me please? 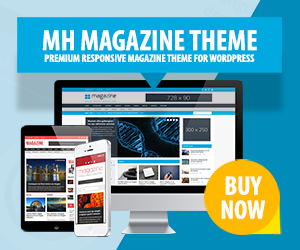 Hi Char, we’re a company that develops WordPress themes. We’re not WordPress or responsible for WordPress support. If you need assistance with your WordPress installation, you can ask for help in the official WordPress support forums. I’m having issues with WordPress. I don’t know what trouble it is, but I’m unable to login. My hosting provider says there is nothing wrong with the server but it is with WordPress. I didn’t backup the site and I’m very much worried about my website’s content. Hi Rishi, if you’re not able to login to WordPress, then you possibly just have forgotten your password. However, support related to using WordPress actually isn’t something you need to pay for. The official WordPress support forums are absolutely free of charge and it’s very likely that there’s someone there who can help you with your issue.